The most important factor with any surgical procedure is safety – and issue we take extremely seriously here at AVC. Each time a person decides to undergo laser eye surgery, they are putting their vision literally in our hands. Reassuring people is also an essential part of our job, so we thought it would be great idea to put together some accurate facts and figures on laser surgery safety, and dispel any of the myths surrounding this technique! It is more aesthetically pleasing. No daily maintenance is required. People can exercise without being visually restricted. There is a reduced risk of eye infections compared to contact lenses. It is important to note that laser surgery itself is classed as a cosmetic procedure, and, as such, faces less regulation and scrutiny than other medical techniques. That is why choosing a quality clinic is extremely important. As laser surgery is a corneal operation, it is vital to use an experienced surgeon with an excellent knowledge of corneal issues. 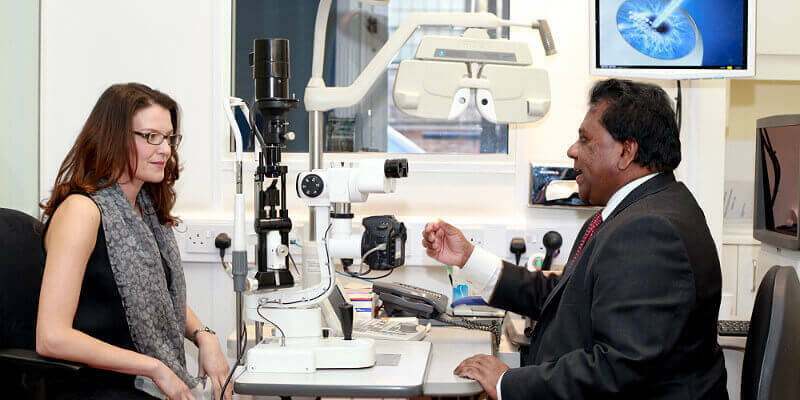 Our Founder and Medical Director, Dr C T Pillai, is trained in cornea and refractive surgery, with a fellowship from Texas University. In addition, he is also a fellow of the Royal College of Ophthalmologists and the Royal College of Surgeons. Two world-leading, elite professional bodies! Over the years, laser surgery technology has progressed to become a refined science, with the LASIK technique now the gold standard for our industry. Done correctly, the entire treatment can take less than 10 minutes to perform. Nowadays, completely blade-free surgery is the norm, and can be achieved by using the Intralase and Excimer lasers. Eye-drops are used to numb the eye. Tiny pulses of harmless light from the Intralase laser are used to create a flap in the cornea. This flap is then lifted to allow the cornea to be treated directly. 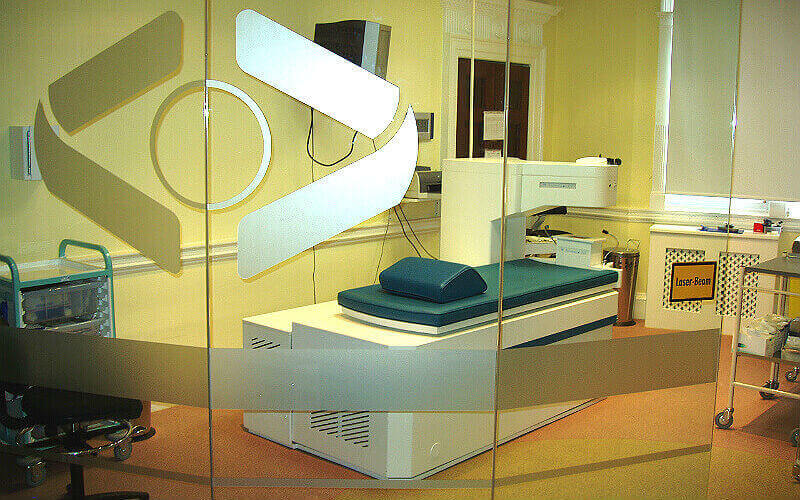 The Excimer laser is used to accurately remove microscopic tissue and reshape the cornea. The flap is then put back into place and a temporary contact lens affixed while the eye heals. By using both of these advanced lasers, quicker treatments and faster recovery times have resulted. Just what does the science say about laser surgery safety? One study looked at complications that had arisen from 1000 cases of laser surgery. All patients were treated with the Intralase laser. No serious surgical complications were found in any of the patients treated, and the researchers also concluded that using the Intralase laser meant surgeons could accurately predict the correct eye flap thickness required. In 2009, a world literature review of LASIK studies was launched. This major investigation analysed data from thousands of laser operations on patients from many different countries. Academics discovered that the overall patient satisfaction rate was 95.4% – pretty good when you consider that clinics of all different standards were included. This is an important point to discuss. Laser surgery is a permanent fix when it is performed by qualified, experienced surgeons. Luckily, most clinics in the UK have good quality medical teams, so surgery failure is not a major issue. However, by choosing to go abroad in order to save money, you could be increasing the risk of an inexperienced surgeon and an unsatisfactory outcome. Science has also looked into the long-term effectiveness of laser procedures. A 7 year follow-up of Chinese patients found that vision improvement was maintained in all patients, with 100% achieving at least 20/40 vision, and 94.2% gaining 20/20 eyesight. At AVC, we exceed the industry standard, with 99% of our patients achieving 20/20 vision. The key to this is our experienced surgical team AND a methodical screening programme. We pride ourselves on the standard of our eye examinations, and pre-surgery checks. These ensure that only suitable candidates progress to the surgery stage, helping us to gain better results than many of our competitors. Post-operative care is also essential. This can be a time when a surgeon’s skill and knowledge level are valuable in dealing with potential problems that may occur. So is Laser Eye Surgery Safe? By checking out the science and analysing our own results, we can see that laser surgery is an extremely safe procedure, with a very high patient satisfaction rate. The best outcomes are achieved at the best clinics – in effect, you get what you pay for. Therefore, the most sensible way to protect your health is by choosing an elite surgeon. price slips, so does the level of expertise and aftercare. Be careful not to play roulette with your eyesight. If you would like to find out more about the safety of laser eye surgery at Advanced Vision Care, then why not call AVC TODAY on 0800 652 4878 and request your free information pack or book your consultation to find out how we can help you.